An age-old tale: teen throws party at her parents’ house, teen guests get out of control, home gets messy and things go missing. But when the parent of the teen is Grant & Eisenhofer name-partner Stuart Grant, this scenario ends in a lawsuit. This one is a lot of he said/she said — some of the items were returned, the defendants claim they were invited and it’s questionable, the report said, whether Grant can get compensatory damages because he hired a private investigator rather than going to the police. Lowe’s full report is here, but needless to say this is one teenage party that ended way worse than with just your run-of-the-mill grounding. Note: the teens pictured are not the teen defendants. 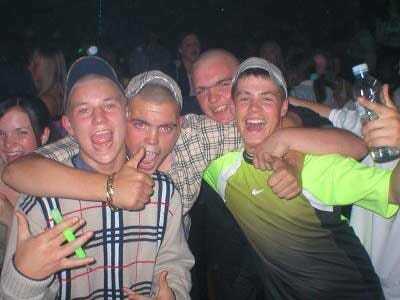 These are young British people enjoying a night out. The excessive Burberry is the tip-off.